But Israel’s isolation is getting worse, and the parade of celebrity visitors, meant to counter it, has begun to suffer from it. In the past 12 months Elvis Costello, Carlos Santana, Gil Scott-Heron and the Pixies have all canceled scheduled concerts in deference to Palestinian boycott pressures. In April, Justin Bieber’s visit turned into an embarrassment when Prime Minister Benjamin Netanyahu canceled a scheduled meet-and-greet with the singer, reportedly because Bieber refused to meet with a group of children who narrowly escaped a Negev rocket attack. For Bieber’s millions of teenage Twitter fans, unfortunately, it was Israel that came off looking bad. 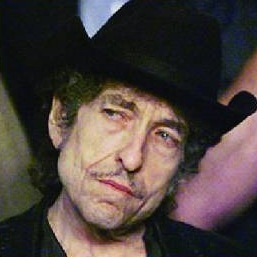 Bob Dylan was supposed to lift the mood. Lionized around the world for a full half-century as the voice of his generation, he represents that and more to plugged-in Israelis: He’s a modern-day Jewish prophet, which makes him a sort of hometown boy made good. Anticipation of his June 20 gig ran high. This made the morning-after disappointment that much deeper.